“The idea of commencing a Kapiti Branch of NZART was mooted over a friendly pint or two being shared by several local amateurs in the Paekakariki Hotel early in 1971. An initial meeting of six NZART members was held in February 1971, and the inaugural meeting held on 4th March 1971. Foundation membership, comprising transfers from other Branches and new members, was 21. The Branch was recognised by NZART as Branch 69. The Branch promptly started beginners’ classes, and arranged for demonstrations of amateur equipment in operation to be given in Coastlands Shoppingtown. 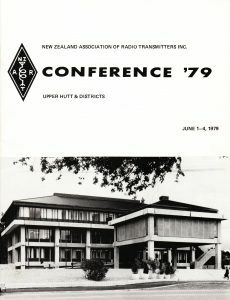 The call-sign ZL2KB was allocated to Kapiti Branch in February 1972. The branch established an AREC section, which has participated in field days and exercises, and has provided SAR communications on a number of occasions. A continuing problem in early years was a suitable meeting-place for the Branch, and this was solved in Novembers 1973 when the Civil Defence Communications Room in McLean Street, Paraparaumu Beach became available. The CD Room is still in use for meetings.